I spotted this beautiful bracelet by Ocean Pearl Jewelry and immediately fell in love with it. The colours she uses are fabulous! The clasp she chose is just right for the style and colours of this bracelet. Please visit Ocean Pearl Jewelry to find beautiful beaded items such as pendants and bracelets. 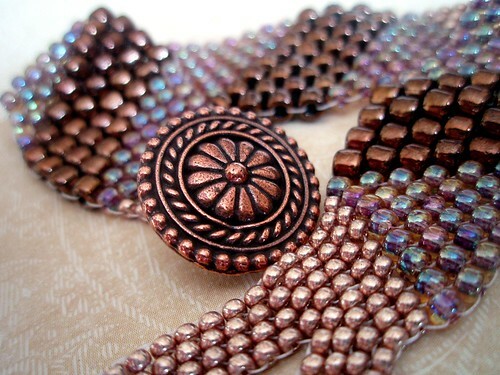 Perfect gifts for Holiday gift giving - these beaded beauties take time and patience to complete. For the first time ever in an Oh Canada Treasury Challenge, we have a tie! Flash Back by Dark Ride and Colour Me Butterfly by Stuff by Steph are tied for first with 26% of the votes each. Our next treasury challenge will begin in the new year, so we're going to have a poll throughout the holidays to see which of these stunning treasuries takes the cake! Have a look at these great collections and cast your vote in the poll at the right. We'll announce the winner and the new theme in 2011! From the collection ~ Flower scents, these earrings are so feminine and delicate! Beautiful for everyday or a special occasion. Today's Friday Find is a gorgeous mango orange eco-friendly shawl by Anny May. Gloriously long at 94 by 13 inches when unfurled, this is the perfect accessory as the days grow colder. I imagine it would go equally well thrown over a beautiful sheath dress as it would with a cozy turtleneck and jeans. The bright colour is the perfect pick-me-up, and the 100% tencel yarn looks nice and soft. Tencel is made from the wood pulp of the eucalyptus tree, and its production method is biodegradeable and non-toxic. Eco-friendly and beautiful. Who could ask for anything more? Visit Anny May's Etsy shop for more lovely handmade clothing and accessories made from ecological materials. It’s time to vote for your favorite collection in our latest treasury challenge! This round our theme was a lovely butterfly necklace by Pulp and Paisley. We‘ve had some amazing and lively entries! We have narrowed down the entries to six beautiful collections. Have a look at each of these treasuries, then choose your favorite in the poll at the right. The winner will choose the theme for our next treasury challenge! Voting is open until Tuesday, November 23rd. 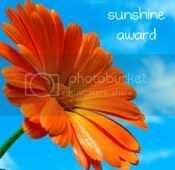 The winner will be announced on November 25th. Thanks for playing, and good luck to our finalists! A versatile bag that can convert from a shoulder bag to messenger bag to a backpack by simply changing the position of the straps. The bag is very roomy with lots of interior pockets. The large exterior zippered pocket is big enough to store all your daily necessities, such as wallet, keys, cellphone, sunglasses, ipod, and lipstick. 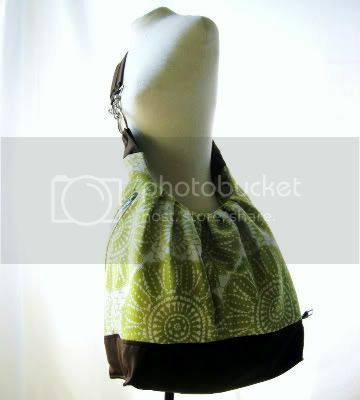 It will also make a perfect diaper bag for the stylish new mom! The fabric for this tote is a highend designer fabric by Waverly - Sun N Shade Sundial Citrine. This is a 100% Sprun Polyester upholstery fabric. It is so gorgeous and versatile, and has a soil and stain repellent finish. The Colors include in this fabric are shade of olive green on a cream and white background. 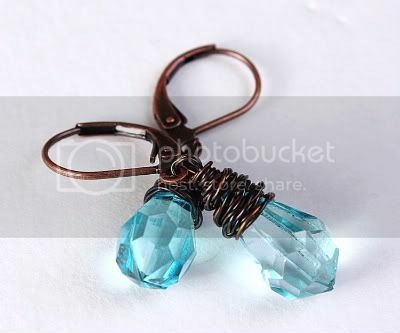 The votes are in, and the winner of the Alphabet Keychain treasury challenge is Sing Me a Rainbow. Congratulations to Karen’s Minis, and a big thanks to all of our participants and voters. And now it’s time for a brand new treasury challenge! The contest is open to anyone, and we invite all Etsy members to participate, even if you’re not an Oh Canada Team member or a shop owner! The deadline for entering the “Butterfly Necklace” challenge is Tuesday, November 16th. Our judges will select 6 finalists, and voting will begin on Thursday, November 18th. Screenshots of all the entries will be uploaded to our Flickr challenge album before the judging round begins. Voting for this challenge will close the following Tuesday, and the winner will be announced along with our next theme on Thursday, November 25th. Our previous challenge winner, Karen‘s Minis, has chosen a fellow team member’s creation to the be focus of this challenge. 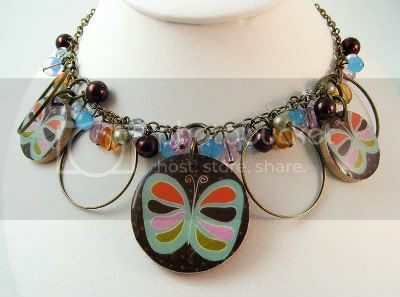 You can create a treasury using any theme that you desire, but you must include this listing in your selections: Retro Butterfly Statement Necklace. Beautiful fall colors! 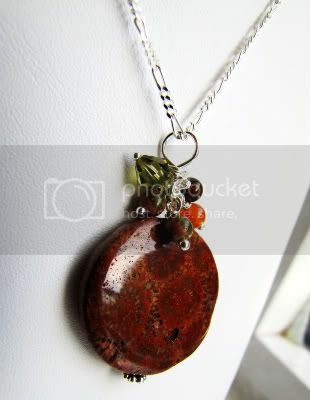 A fossiled jasper pendant hangs from a sterling silver chain. Carnelian, smoky topaz, unakite gemstones and swarovski crystal bicones hang atop the jasper. All high-quality gemstones are wire-wrapped by hand. Chain and findings all made of sterling silver. Finished with sterling silver lobster claw clasp. When the temperature drops and it's time to start turning up the thermostat, it's not always easy finding the time to open a window and get a little fresh air moving around. These things have to be perfectly timed, so you're not wasting energy or freezing your toes! Luckily, there are lots of natural ways to keep your home feeling fresh throughout the cooler months. This adorable sachet from bstudio is made with repurposed linen, and fragrant balsam fir needles. The bright red eggs and handy ribbon tie would look fantastic in any holiday decor. 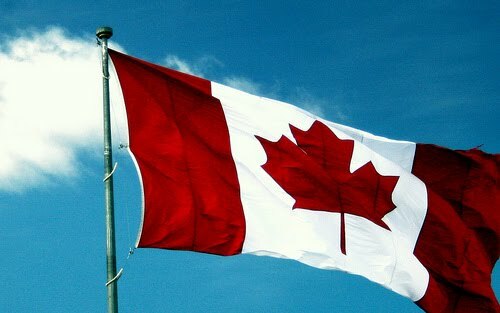 To see more handmade decor and gifts by Canadian artists, add the tag OhCanadaTeam to your searches on Etsy.com. It’s time to vote for your favorite collection in our latest treasury challenge! This round our theme was a colorful keychain from Design by Cassandra. The entries are full of color! Voting is open until Tuesday, November 9th. The winner will be announced along with our new challenge theme on November 10th. Thanks for playing, and good luck to our finalists! 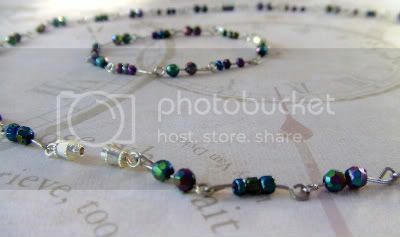 This elegant set features dark purple and green beads on small wire hooks that are looped together. Both have a barrel clasp closing.